With the CPS 1900 with Tamper Evident function, cartons can be printed, verified, weighed, and have security labels applied. It can be equipped with up to two security label dispensers. This modular expansion is also optionally available with a checkweigher. As each CPS module the CPS 1900 is also working as a multi-flexible unit for all types of printers, cameras, laser and labeler. 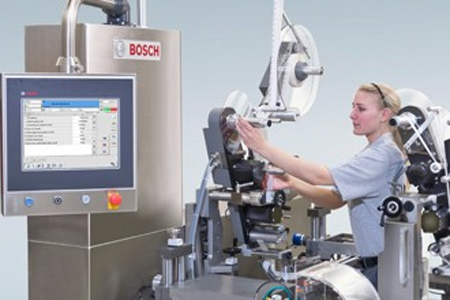 It is possible to process pre-printed labels via presence control with a laser scanner or camera system. Further more in-line printing of labels with OCR/OCV camera verification can be processed. Up to 350 cartons per minute can be printed and verified. By integrating a labeler, the cartons are labeled separately. easy-to-operate overall concept. All production, printing and layout data are centrally managed as well as configured. The Track & Trace module is suitable for print & verification, coding and serialization, among others. Furthermore, CPS is equipped with an integrated line management system, which handles the system’s communication with IT host systems, e.g. MES or ERP. Serial numbers and batch data are received by the CPS system and managed by the line process. In addition to product serialization, the line process is also able to control and manage the process of product aggregation. Its software architecture allows the expansion for all necessary levels of aggregation (e.g. bundles, shipping carton, pallet).